When you are accountable for risks around people and property. 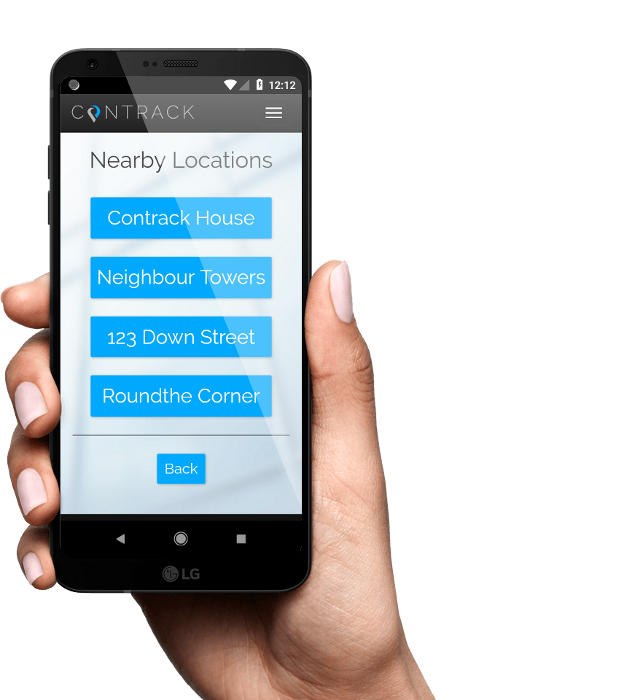 Contrack is about knowing the times and whereabouts of service providers at your property and safety for workers in high-risk or remote locations. Sounds great ... But how? Contractors use their smartphone to CHECK IN & OUT of your building. BEFORE CHECK IN contractors MUST confirm GPS and agree to your CONDITIONS OF ENTRY. [Viewed from their smartphone]. For High Risk or Hazardous locations Contrack can send Safety-Check SMS messages that must be acknowledged promptly. It takes less than a minute to add your property to Contrack. Verify service provider visits to your property TIME - DATE - DURATION & GPS LOCATION. You and your tenants can be notified automatically when contractors are on site. Standard “Conditions of Entry” (COE) are included automatically for every location. Add your site, industry specific information or hazards that contractors need to know. Gives you options for Contrack to generate automatic Safety Check Messages via SMS to service providers working in high risk or hazardous locations. Multiple message frequency and escalation options are available to suit. $1 per day per building or location – unlimited contractors. No fixed or minimum term. Rates are negotiable for larger groups of buildings or sites. Try Contrack for a month at no cost and simply keep using it if it suits. No Minimum or fixed terms. We can set up your buildings and contractors.